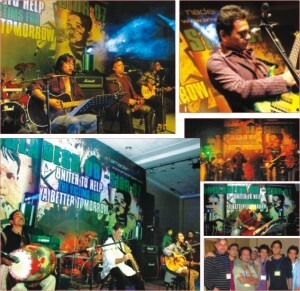 Amadergaan.com is a popular website dedicated to the music of Bangladesh, with a goal to make the music culture better and present it to the whole world. The organizing committee of amadergaan.com is comprised of students, who really worked hard in a professional manner to make this concert a huge success. Faysal Islam, the admin owner of amadergaan.com says in this regard , “The magnitude of the concert was pretty big. From the administration part, I ran day to day activities with my partner Safwan Khan. But we have a small dedicated team comprised of students who all worked tirelessly for the cause, they volunteered their time for free and pulled off this event in most efficient manner; Frankly speaking, I am proud of each and everyone of them, they showed that if you are committed to something, it can be achieved with success-no matter what comes.” The organizing committee consisted of: Rajiv Ashraf Ziko, Naimul Khan, Tanvir Tahlil, Adnan Ahmed Saleh, Pavel Islam, Ahmed Niaz Morshed, Saquie Ahmed, Afif ,Pial and Nafiz Tahsin Ahmed Shuvo. 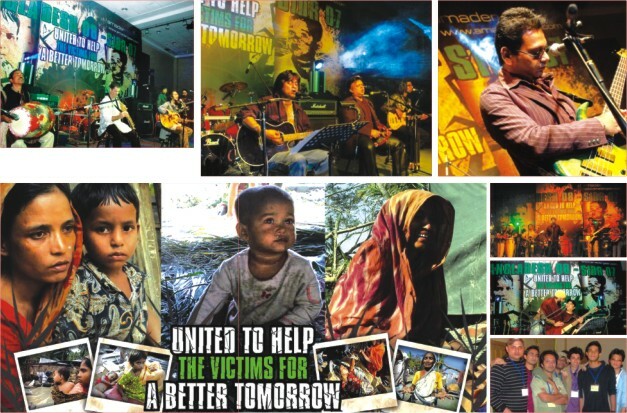 The concert raised a total amount of 4 lakh 30 thousand taka and it was donated for the SIDR victims at Prothom Alo Relief Fund, with an intention to make a positive difference in the lives of the SIDR affected.